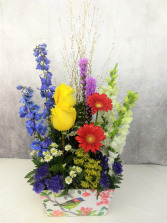 Beautiful spring arrangement in lots of colors and flowers. 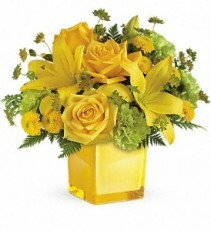 Arranged in a turquoise class cube. Clear vase filled with beautiful fresh soft colors flowers. 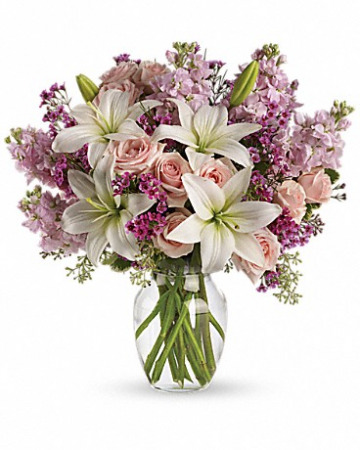 This arrangement is simply beautiful and elegant. 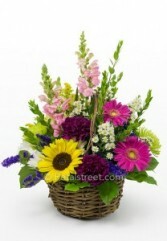 Very garden, pretty colorful fresh flowers in a very pretty bird container. 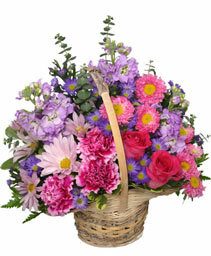 Beautiful arrangement!!! 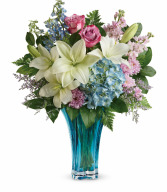 Blue, tall, elegant glass vase arranged with soft white, blue and lavender fresh flowers. 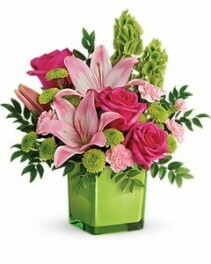 Lime green and hot pink, wow what a statement! 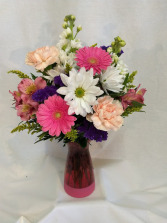 Lime green glass cube with fresh flowers in green and pink. Gorgeous vase filled with hot pinks and blues. 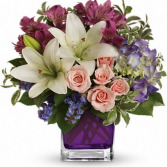 Pretty purple glass cube filled with pretty pink, purple and white fresh flowers. This is such a cute arrangement! 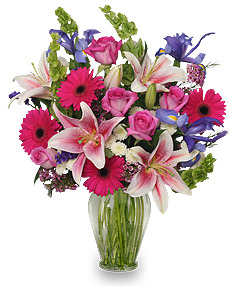 Fresh colorful flowers designed in a small colored glass vase. 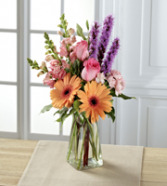 Just right for a desk or small table. 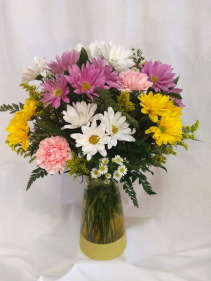 Vase filled with fresh spring flowers. 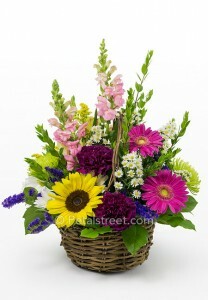 Basket with pretty fresh flowers. 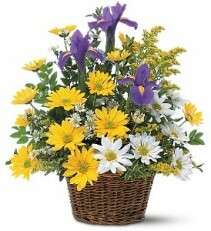 Very cute arrangement. 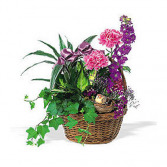 Add some balloons and chocolates to make this a perfect gift. Gorgeous arrangement!! All yellows, simply beautiful!! 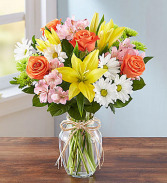 A surprise gift of flowers can provide a "pick me up" that lasts for days, so boost her spirits to the sky with this Sweetly Spring Basket from FANCY PETALS, your local Defiance, OH florist! Beautiful display of purples and yellow fresh flowers designed in a wicker basket. Beautiful mix of flowers and color designed in a vase. 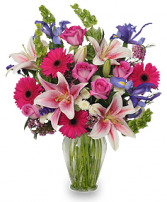 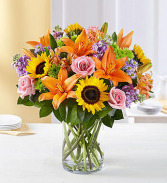 Bright fresh and colorful, this arrangement has it! !